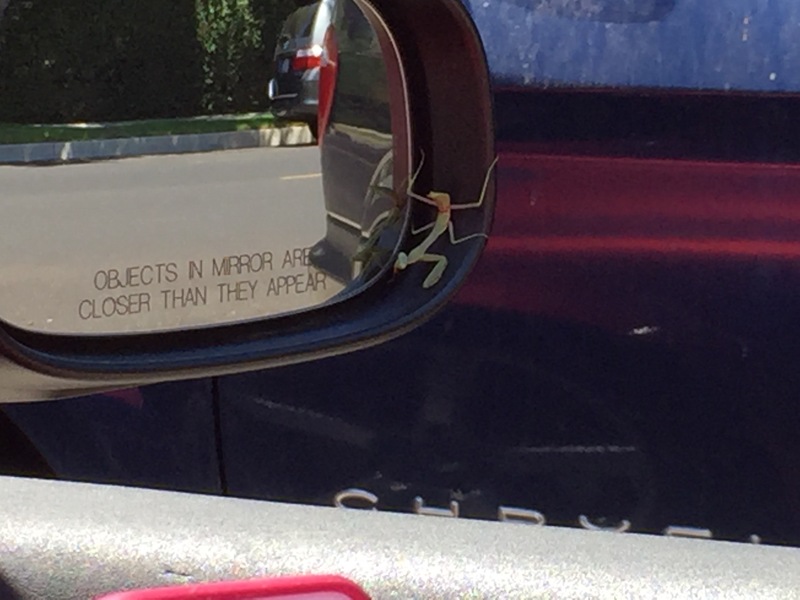 A sunny SoCal day, top down, heading home from the store, I glance over at the passenger side mirror before changing lanes and I see we have a passenger. 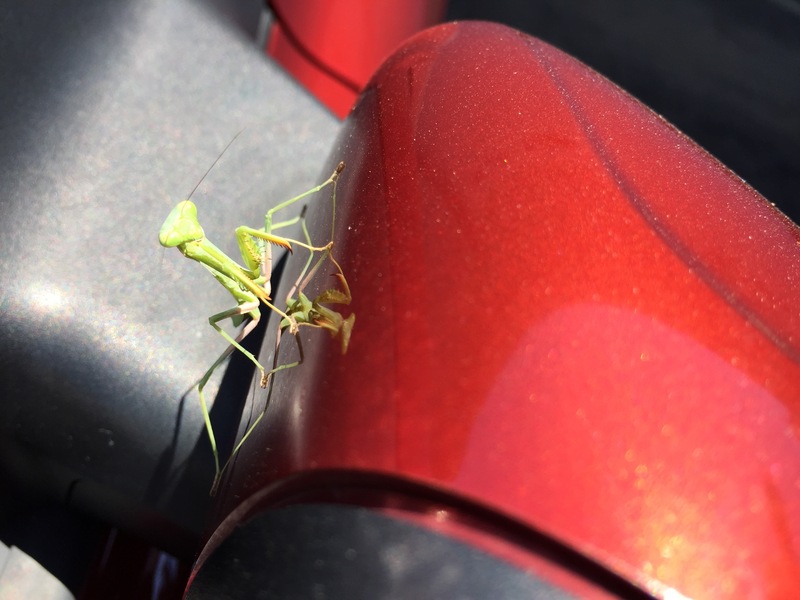 We really don’t see a lot of mantises around here – I think they’re unusual enough so I’ve shared pictures of them before. It also occurs to me that it could be a selection effect – for all I know the trees are practically dripping with them and they’re really, REALLY good at staying hidden – I just spot the occasional loser and Darwin award finalist. This critter had some interesting banding back by the back legs. It was interesting how it moved around, almost like a spider crawling around a web. About this time it decided that the car was hot (it was), my iPhone was not, so it hopped onto the phone. I was holding the phone at the time to take the picture and had an extremely non-macho reaction. 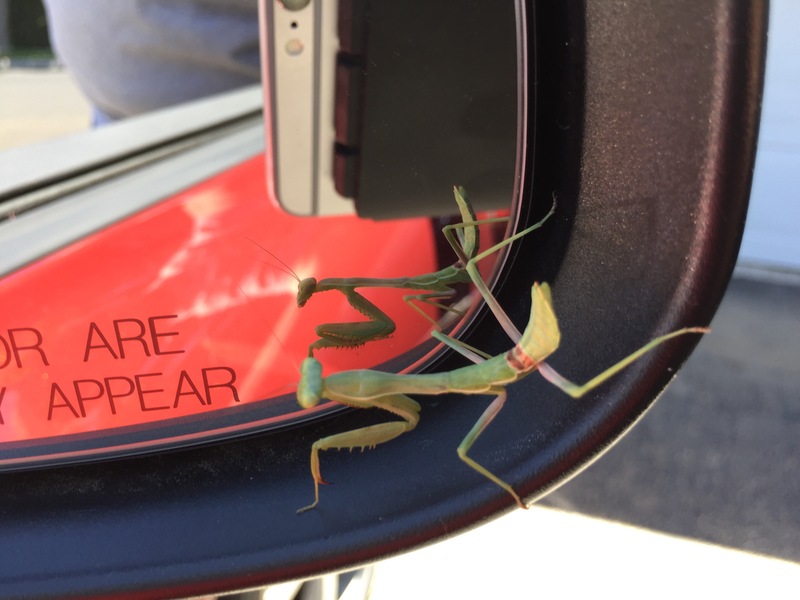 The mantis correctly interpreted my violent shaking of the phone to mean that I wanted it off, so it complied by hopping off onto my hand and starting up my arm. I neither screamed like a little girl nor did I squish it – I get a cookie! 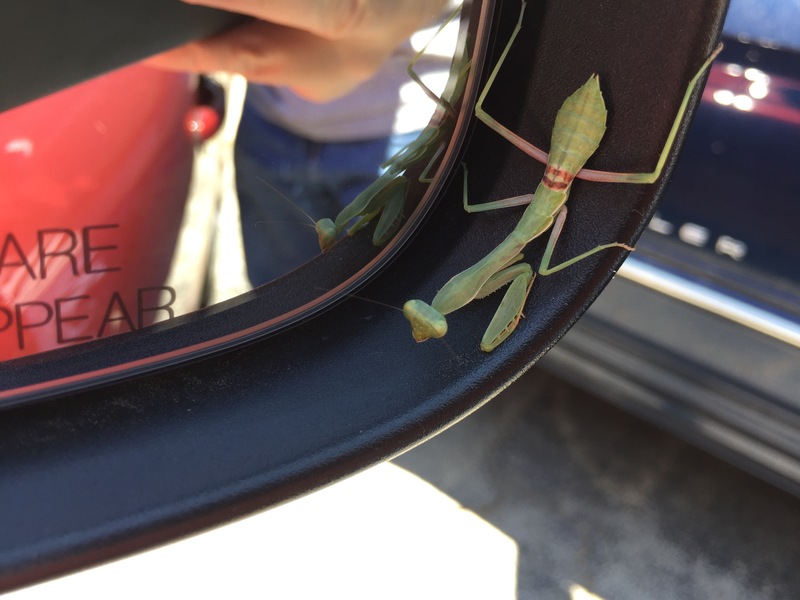 Mantises are so cool. Very fierce predators. It was QUICK and moved around like it didn’t need to obey the same laws of gravity as the rest of us – I was just as happy to have a 1000:1 size difference on my side. They’re an apex predator in their own world. Definitely be happy with the size difference…I’d hate to meet one if I were a bug or small animal. 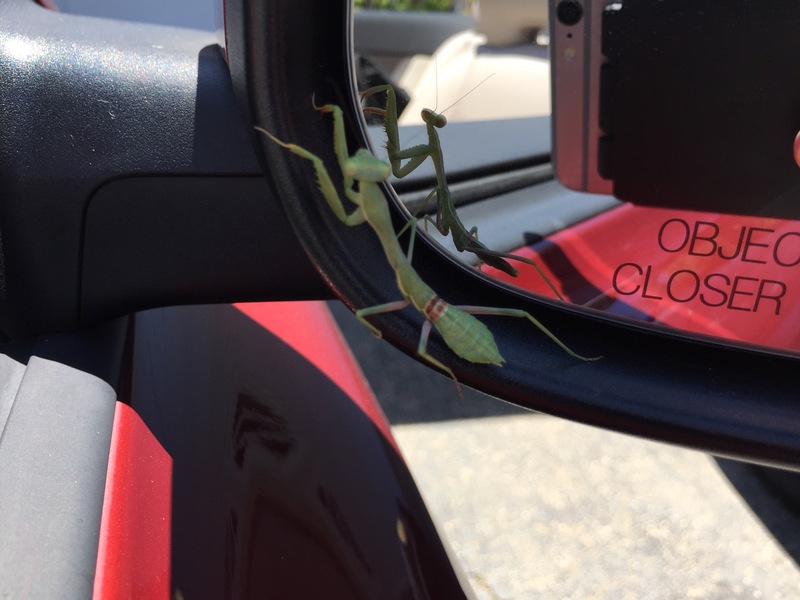 Although I do recall an old sci fi movie about a praying mantis. I’m going to have to research that now and find it.